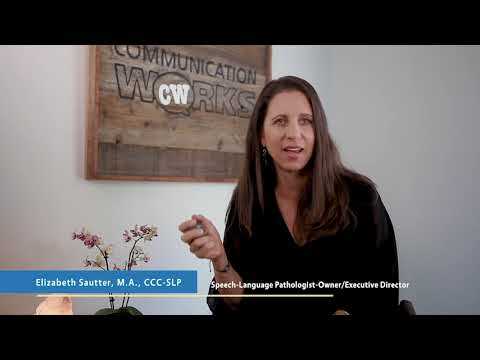 Speech Language Therapists, You Are Rock Stars! single person’s effort can make a huge difference! The story depicts an overwhelming scene of hundreds of starfish stranded on a sandy beach and a boy picking up one at a time to throw back in the ocean. A man approaches him and tells the boy he won’t be able to save them all, so why try. The young boy bends down, picks up another starfish and states, “I just saved that one”. The story shows us that even an act of kindness that may seem slight or insignificant to some, really matters, no matter how small it may seem. At CW, we like to highlight this story when referring to the work we do to make a difference for one child, one family, and one school at a time. We use visuals and mementos of the starfish as reminders of the moral of this story. Likewise, we also use the symbol of a rock when we refer to our therapists because they are the foundation of the work that we do. Our therapists are solid and sturdy, and they form the basis of our company and its stellar reputation. Together, these two symbols of the starfish and the rock are why we call our therapists Rock Stars, all of our amazing CW therapists. They persist day after day to make a difference and change lives for so many children and families. We are so proud of the work that our Rock Stars do and we are grateful for each and every one of them! What About Our Own Growth Mindset (Part 2)? What About Our Own Growth Mindset?